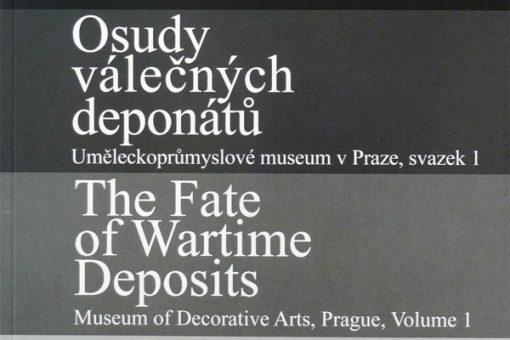 The Fate of Wartime Deposits, volume 2 - Documentation Centre for Property Transfers of the Cultural Assets of WW II Victims, p.b.o. The publication follows the first volume and describes the movements of the individual objects and collections of the Museum of Decorative Arts in Prague during the war and the postwar period. The example of the so called provenance research, intended primarily for the museum employees and experts.